While pursuing my grammar studies, I am deciding on what to memorize and what to look up. Memorizing all grammar rules would be completely impossible; I must move ahead with what I can commit to memory. My English grammar flash cards point to the problem. You’ll note that there are 600 cards! 600 individual points of grammar to contend with. Besides the daunting overall scope of the project, individual topics present an overwhelming amount of choices. This site (external link) lists 12 specific rules on subject-verb agreement. 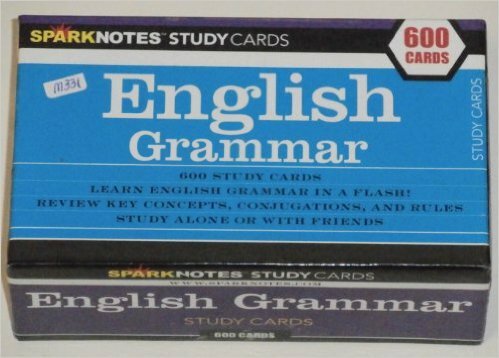 Straus’s excellent Blue Book of Grammar and Punctuation lists 14 for the same topic. And this is just for one subject. Experts generally agree that their are eight parts of speech, all of which break down into dozens and dozens sub-topics and rules. This entry was posted in Uncategorized and tagged Berkeley, learning grammar, on-line english grammar course, sequence in editing. Bookmark the permalink.